Yesterday at the meeting I sat by a woman who grew up with Gordon B. Hinkley. She told me about him as a child, and how even as the President of the church he would come back to that ward and share his testimony. He would go and visit the elderly women that he knew, and of course his wife who grew up across the street was always there as well. It was amazing to hear these stories. As I sat in that meeting and learned that my branch of 7 wards was going to be cut down to 4 wards to make bigger wards, I was floored. Now instead of 1 in 12 it will be 1 in 6. I was touched by the things these men said, by the tenderness they had while sharing this news to women and men who have lived in this area since the 30's and 40's. It was amazing to me that President Monson himself wrote a personal letter to this stake letting them know that this change was his decision and that is was the will of the Lord. I watched the ladies cry, and hug each other, and then I listened as so many of them stood and shared their testimony with me. The lives that these women have lived blew my mind. 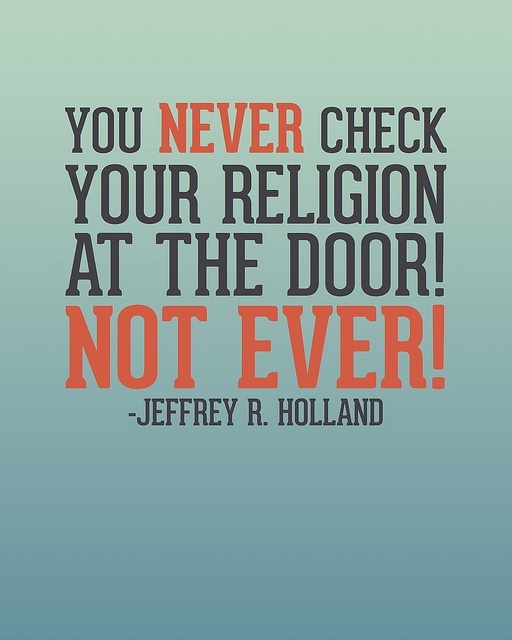 They were here when the church was brand new and just being formed, and they have stayed righteous Latter Day Saint Christians their entire lives. I was touched by the spirit of that meeting. I was touched by the love this branch had for one another, and I was touched by the love the bishops, and stake president had for their congregations. Through this experience I learned an amazing thing. I am the minority where I live now. 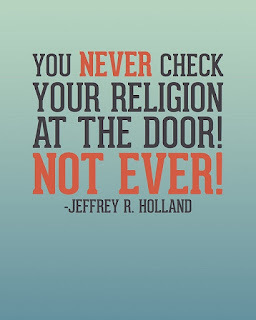 For the 1st time in my life I am on the outside looking in, and it's vital that I live my religion every day. These women taught me yesterday, that you need to live your religion 100% of the time no matter where you are. I'm grateful for their love, their amazing examples, and for the opportunity I had to listen to these amazing women of the Church of Jesus Christ of Latter Day Saints.